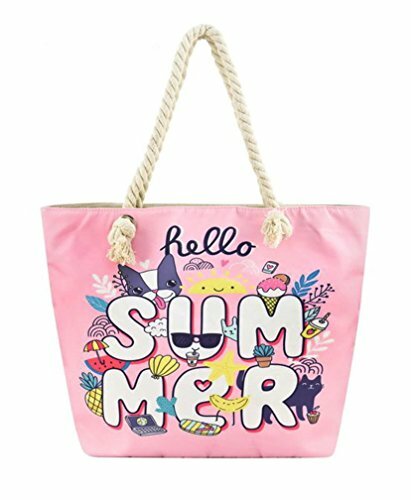 Canvas Tote Bag with Cotton Rope Handle (Pink Hello Summer) by Unknown at Toad Lily Press. Hurry! Limited time offer. Offer valid only while supplies last. Perfect for a Day at the Beach, Pool or Park, Picnics, BBQ's, Camping, Vacation, Shopping Trips.